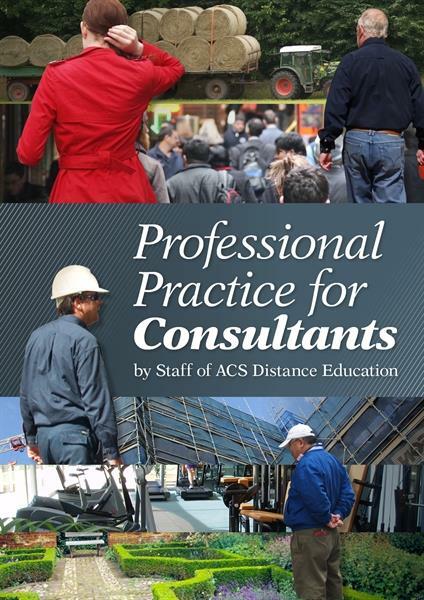 The Professional Practice for Consultants ebook is great place to start if you are considering becoming a consultant. The ebook covers everything that you would need to consider when starting out. Whilst to some degree your demand will be related to your relevant experience, years in the industry, and perhaps notoriety through media recognition, publications, word-of-mouth and so forth - the way that you sell yourself is also important. A consultant may be regarded as having expert knowledge because what they specialise in is beyond the scope of most people’s awareness. Usually, a consultant is employed on a temporary basis until a particular task has been completed. They are needed because there is no-one within a company or institution with the type of knowledge which is sought. In business, a consultant may be hired to improve the efficiency and effectiveness of a business. In landscaping, a consultant may be hired because they have an extensive knowledge of the symptoms of plant nutrient deficiencies. In mental health, a psychologist may act as a consultant with regards to a particular group of mental health disorders, for instance, autism spectrum disorders.